Food, Comida, Cibo, Nourriture, Futter, Pagkain, Kostin... so many different ways to label food. 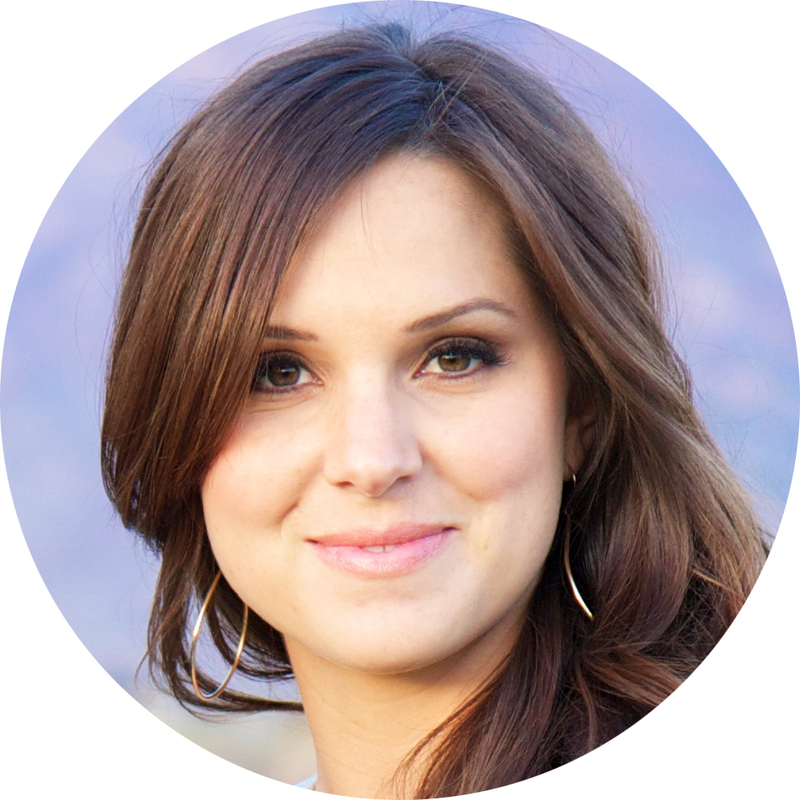 Whatever you call it, I have a passion for it, and I am honored to be your Delicious Reads food contributor. I am Chanel, a mommy to FOUR boys, an admirer to my husband, a lover of travel, an avid reader, and a critic of food. Good food makes me SWOON! I "try" (keyword try) to always feed my family food that is healthy, made from scratch, organic, and local. But, we all know how unrealistic that goal is. I am the first to admit that I will cut corners, which is more often than I would like to confess. About three years ago I learned that one of my favorite restaurants was offering monthly cooking classes. Without hesitation, I quickly signed up. (Shout out to COMMUNAL!) I loved that their chefs prepared the food properly, their menu changed seasonally, and they used fresh ingredients from local farms. After one year of instruction, I began to dreaming up recipes instead of counting sheep, it's all I could think about, and I knew that I needed more. During my last class, I inquired to my cooking instructor what my options were to further my skills, yet still work around my desire to be a stay-at-home mother. The result was this, I hired a nanny one-day-a-week to become an intern at their sister restaurant, P712. After 7 months of learning proper cooking technique, practicing my knife skills (I still managed to stab my finger, and slice off the tip of my thumbnail, which did not end up in the food, Phew!) I noticed a HUGE improvement in my cooking. Just ask my husband. It was well worth the time and money. I then became pregnant with #4 and the smell and taste of food became deplorable. I retired my internship at the pizzaria, took a MAJOR food hiatus, and had a baby. Thankfully, I am now back in the kitchen, back to cooking classes, and sharing some of my knowledge on this blog. First things first, a well stocked kitchen is so important when cooking! Can I tell you the two most important items in my kitchen? A high quality chef's knife, and good salt. Please don't use my recipes with table salt. It will not give you the same result. That is my advice for my first post. Good Knife + Good Salt = Better Cooking. 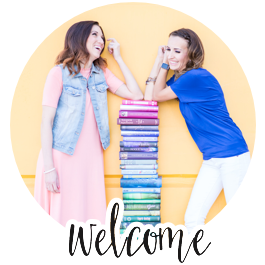 This month’s book club book, The Husband’s Secret, by Liane Moriarty, is set in Australia. What is more Australian that a BBQ? (Well, besides Vegemite, yuck!) I have your perfect side dish to go with your next outdoor family shindig. A healthy and delicious quinoa and spinach salad! 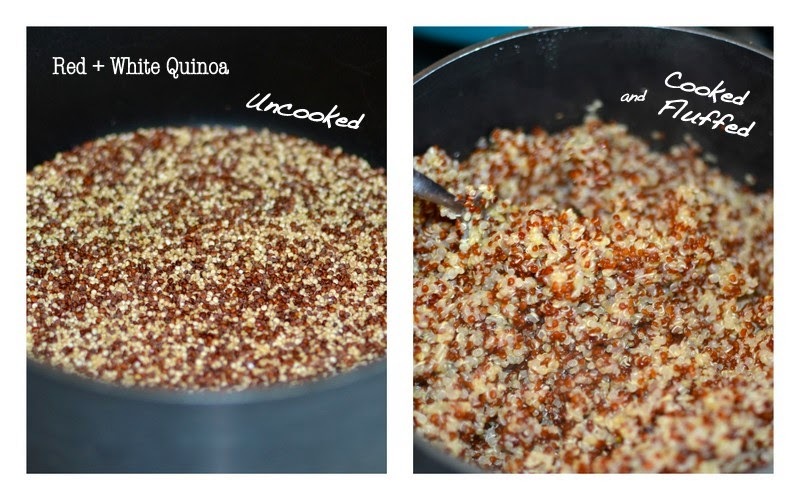 Quinoa can be cooked in a rice cooker, or in a pot on the stove. Combine dry quinoa with water and salt. In this recipe I did half red quinoa and half white quinoa, but it really doesn’t matter what kind and combination you use. It cooks similar to how rice would, in water and salt until all of the water has been absorbed. It only takes about 15-20 minutes over medium heat to cook on the stove. Fluff with a fork. Super fast and easy. While the quinoa is cooking, I roast my red pepper. 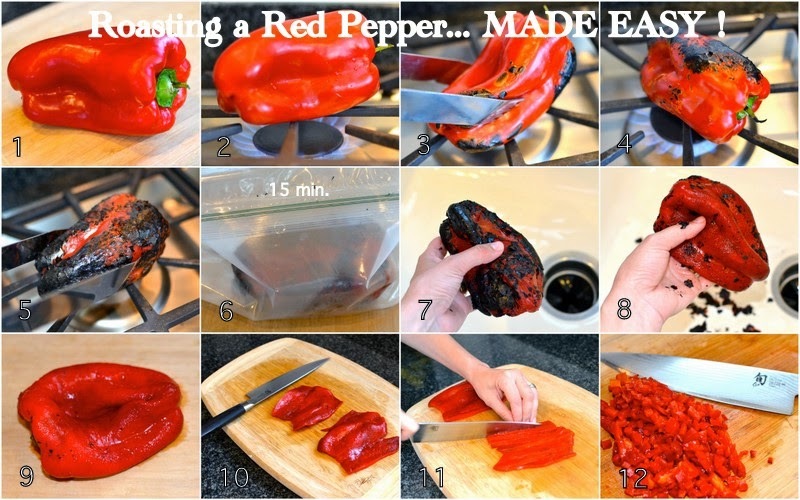 This is my favorite way to roast a red pepper. You can do this on a gas range or in a BBQ grill. The key is to char the entire outside of the pepper. Then I place the burnt pepper immediately into a sealed Ziploc bag for 15 minutes. This allows the pepper to steam and this also makes the skin easy to peel off. Dice this into small pieces. The rest of the recipe is just assembling the other salad ingredients while the hot ingredients cool. 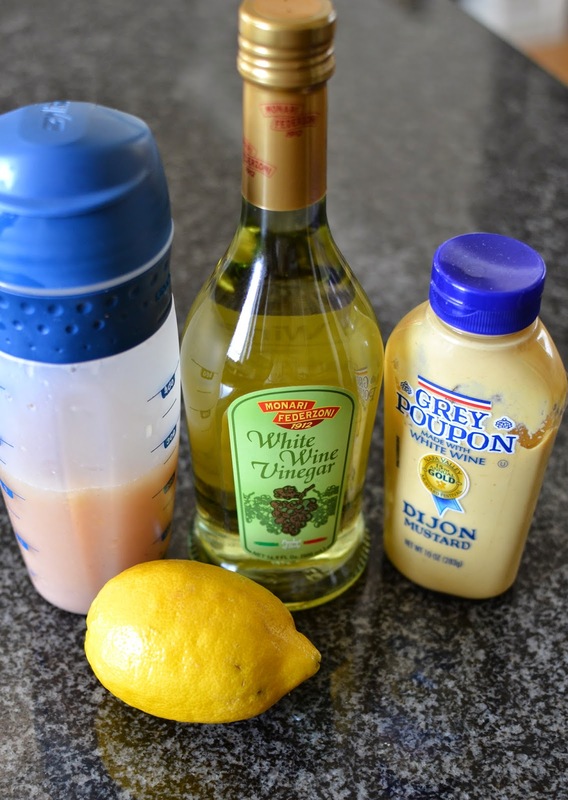 This simple lemon vinaigrette is a staple in my house. We put it on almost every salad, making some minor adjustments depending on the dish. First, combine the vinegar, mustard, sugar, salt, and pepper. Using a Microplane or a zester, zest the lemon (be sure to NOT remove the pith, or white rind, with your zester), add the zest and juice of the lemon to the vinegar mixture. Shake and allow to marinate for 5-10 minutes. Then stir in the oil. Doing this allows your vinegar to take on all of the flavors evenly, and the oil is toning all of the flavors so it isn’t too strong. *If you want a stronger taste of vinegar in your dressing, then add less oil (like 3/4 cup instead of 1 cup). In a large bowl, gently fold in the veggies, herbs, spinach, cheese, and pine nuts to the quinoa. For this salad, start with only adding 1/4 of the vinaigrette, taste and then add a bit more dressing until it is to your liking. Season with more salt and pepper, if needed. Viola! Here's how it looks all dished up! I paired this recipe up with overnight brined BBQ chicken and homemade pita bread. Feel free to leave me any questions in the comments section. Rinse quinoa, and then place in a saucepan over the stove top with water and salt (or cook in a rice cooker). Bring to a boil, and reduce heat to med-low. Cook covered for 15 minutes. Let stand for 5 minutes, and then fluff with a fork. Let cool in serving bowl, stirring occasionally. While the quinoa is cooling, prepare the veggies and toppings. Set aside. Combine the vinegar, mustard, sugar, zest and juice of lemon, salt, and pepper. Shake vinegar mixture and allow to marinate for 5-10 minutes, and then stir in the oil. In the bowl holding the cooled quinoa, gently fold in the veggies, herbs, spinach, cheese, and pine nuts. Start with only adding 1/4 of the vinaigrette, taste, and then add a bit more until it is to your liking. If needed, season with more salt and pepper. ... and that folks is this month’s Delicious Dish! Oh, and I almost forgot. What are some of your favorite food blogs? I am on the lookout for some new ones, please comment below! Fabulous post Chanel! 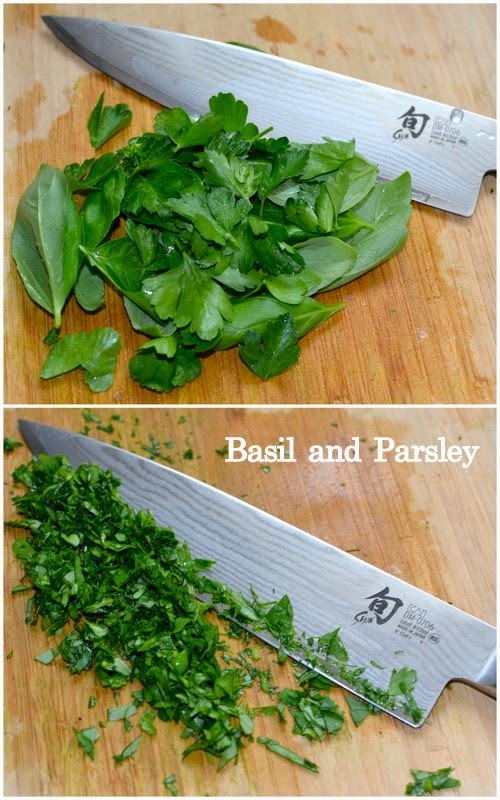 Love all the how-to photos and the beautiful salad looks so fresh and delicious. Can't wait to try it! I love all the ingredients in this recipe. I will put it on my menu this week! I like quinoa and I will definitely cook this dish, thank you. It looks very delicious and tasty. If you need any help from professional writers or handmadewritings homework help, you should definitely have a look at this resource!